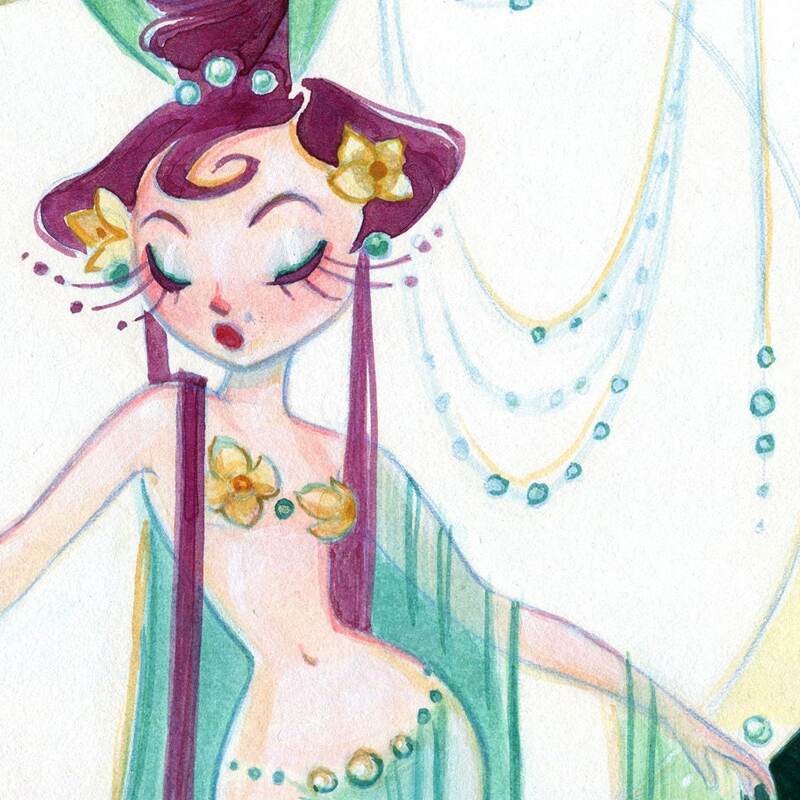 Casey Robin's Tea & Strumpets collection brings teas to life as sweet, steamy showgirls. 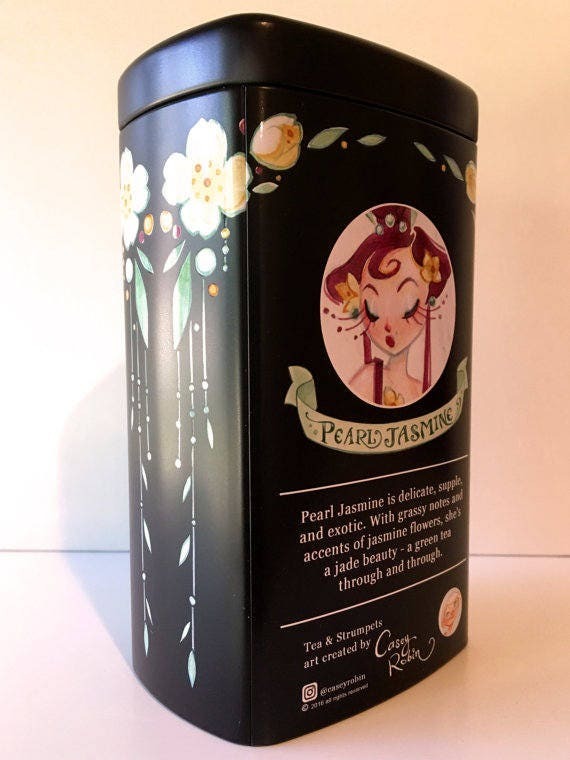 Now you can enjoy them as loose-leaf teas in gorgeous collectible tins! Pearl Jasmine is delicate, supple, and exotic. 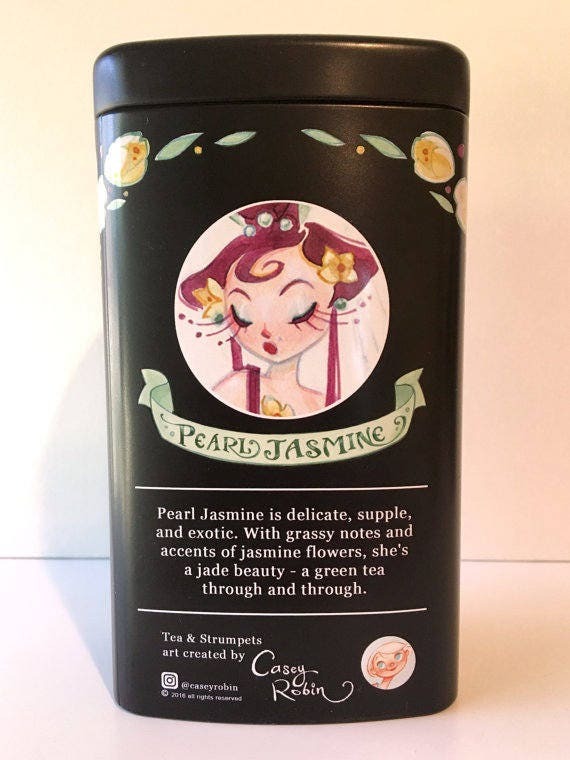 With grassy notes and accents of jasmine flowers, she's a jade beauty - a green tea through and through. 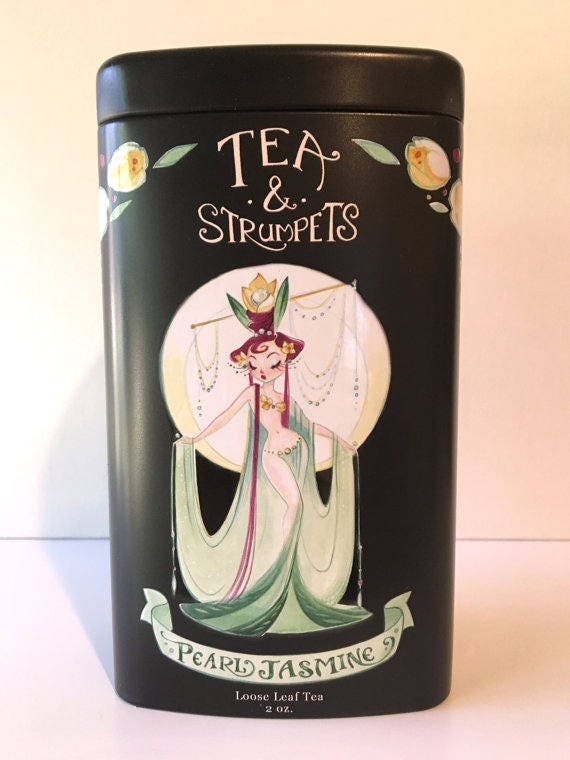 This reusable tea tin is printed on all sides with full-color artwork. Inside is a resealable bag with 2 oz. 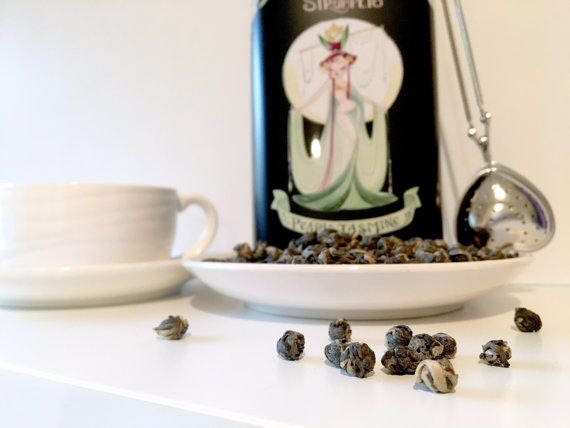 of loose-leaf Pearl Jasmine tea. The tea was selected especially for Tea & Strumpets by Casey Robin's blendmaster brother, Taylor Neal. Instructions are included for the best possible cup of Pearl Jasmine tea. All Tea & Strumpets characters are designed by me, Casey Robin!